On Sunday, Rob Gronkowski shocked the entire nation in a single post. While most sports fans have been anticipating the day he would retire, for what seems like the past few years, the news of his retirement hit home quickly and heavily. Gronk will forever be an icon not only in the Boston/ New England area but in the NFL. You cannot tell the story of football without including arguably the greatest tight end of all time. 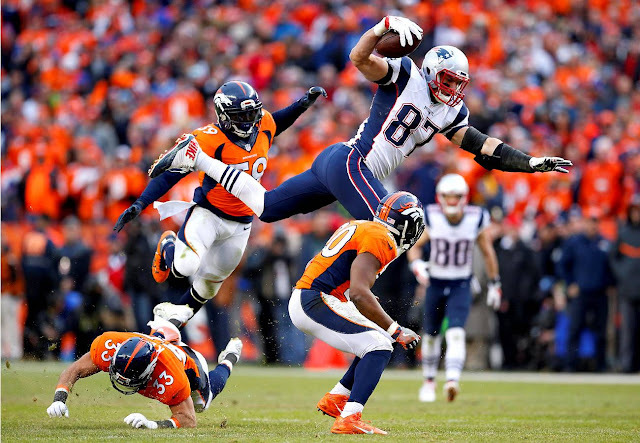 Gronk will be remembered for his hilarious personality, his partying ways, his play on the field and mostly the Gronk Spike but one thing that may be overlooked in Gronk's career is his efficiency. Gronk is a man of many talents. Whatever he was asked to do, he did it and that's what the Patriots will miss the most from him. Sure, they're gonna miss the fact that he's deep threat or his ability to have a major presence in the red zone, or the fact that he was rated the number one running blocking tight end by pro football talk most years in his career but his ability to do what was asked of him will leave the most impact.